This is a payload map. 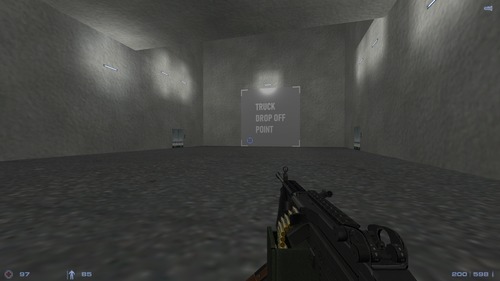 I got an idea of making this map when seeing the map script here on the Sven Co-op official forums. 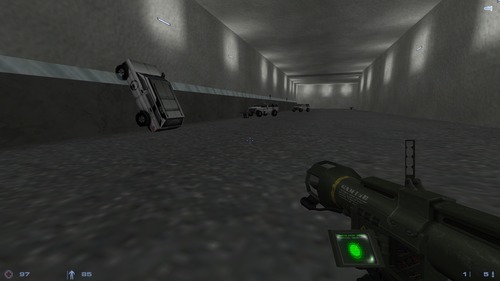 Just like regular payload maps in TF2, you push the truck to the destination and you win. Monsters will show up to stop you when you push the truck. 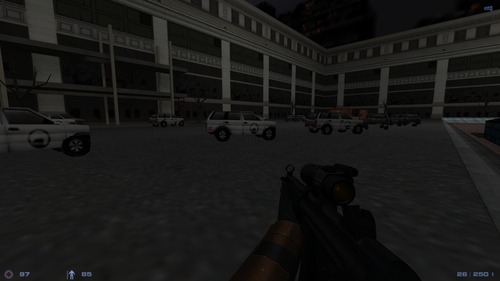 This map was initially to be a port of Hoxton Breakout heist in PAYDAY 2. Due to the limit of map size, that was canceled. 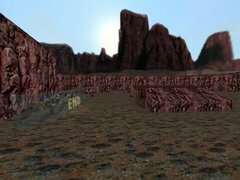 After the Black Mesa incident, portal storms always approach and many cities were occupied by Xen. A driver delivering the supplies for civvies is now the potential target of Xen. You, as a soldier of the nation, are assigned to protect the truck. Now secret weapons would glow so it could be more obvious. Music file is now much smaller than before. Now secret weapons would be respawned every moment. After playing this map of 3.x in multiplayer, I found that I was such a dummie. Stopped game_text spamming people's console. Added grunts to help you fight through. 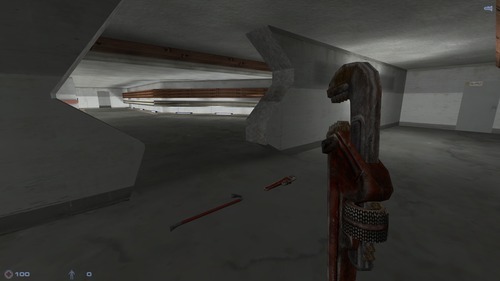 Added powerful weapons in the last part, just to balance the pace of the game. Removed weapon purchase system, instead, added a room for weapon selection at the start. 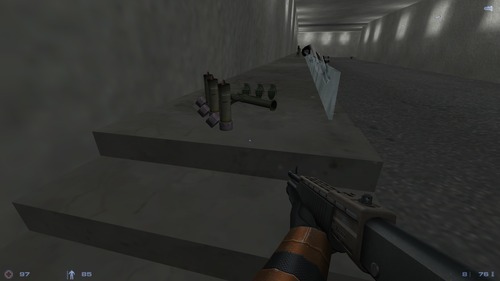 Now you will be teleported to a player nearby after choosing your weapon, instead of respawning in the underground. 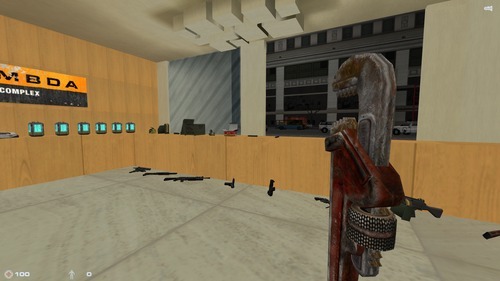 Added music from PAYDAY 2, works from Simon Viklund, they're awesome, really. Adjusted the lighting on the road, so they would look much better now. Adjusted the beginning scene, it should look more cinematic…I think? Now players would have infinite ammo, no more worries about ammo. Ahhhh, I NEED A…AN…AMMO BAG?! NO MORE! 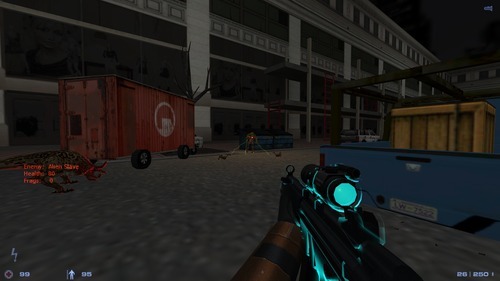 Added presets to vending machines, so players could purchase weapons faster. Adjusted lighting in the lobby, so it won't look that awful anymore. Fixed a problem where vending machines won't work properly when people use them at the same time. Changed the logic of gaining scores at spawn. Fixed a problem where the respawn time is not correctly set. Fixed a problem where a wheel appeared from nowhere. Removed all weapons around the spawn point. You need to buy them yourself. Try and get the best build for you. Added dynamic difficulty. Long story short: more players, more enemies. Added semi survival mode. When the server has more than 4 players, this will be activated. 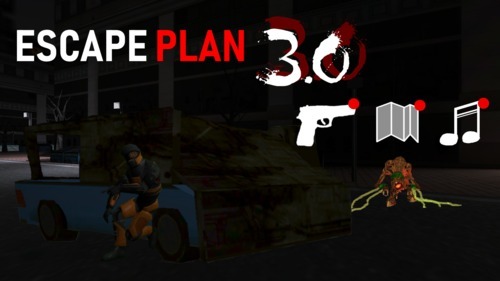 This means when all players are dead at the same time, the mission fails. 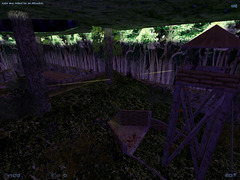 Fixed some texture errors and level design errors of monster spawn points. Map script "Payload" is written by Jagaimo. GreenTea and Dr.Abc helped me out in the mapping process.